Finally, after a couple of years of speculation, the next chapter in the main Star Wars saga has a title: ‘The Last Jedi’. Which, naturally, leads to all manner of rumour and discussion. An obvious conclusion is that Luke will be a much more central character this time (although he really couldn’t be less central than in The Force Awakens, could he). The next obvious question is: are they going to kill him? Or is the title simply a reference to the fact that he is currently ‘the last Jedi’, as Rey still has much to learn before she can claim to be among the Jedi ranks? Also, what’s with the red ‘Star Wars’ logo? In Star Wars tradition, red is the colour of the Sith/Knights of Ren/Token Bad-Guy. So are they going to go full Empire and have this second-act in the trilogy dominated by apparent First Order victories? Hmm. Could be interesting. 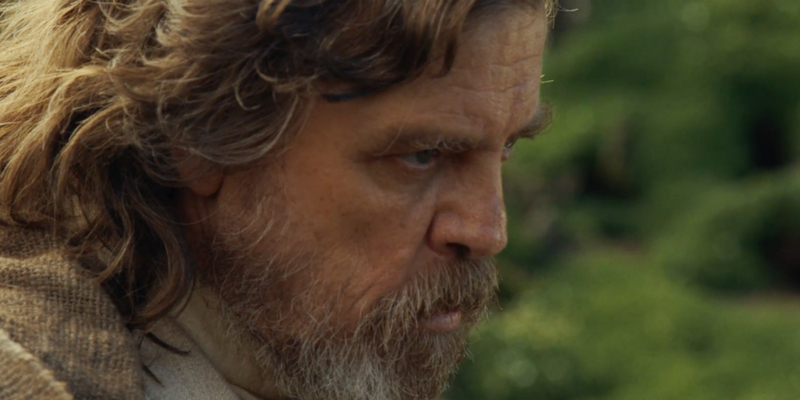 Luke Skywalker (aka Mark Hamill), wearing his patented “I have a feeling they’re going to cut off my other hand, darn it” scowl. Spaceships. There will be spaceships. There probably won’t be any mention of ‘Midichlorians’. Kylo Ren will have at least one teenage toys-out-the-pram paddy fit. The great whining emo that he is. There will be a desert planet. Or possibly a snowy one. Or a forest. A lava planet is an outside bet. Rey probably isn’t going to be running around a swamp with Luke on her back. Probably. Luke will probably actually be on the poster this time. I am not dead. Probably. The Last Jedi – A Review. Kind of.